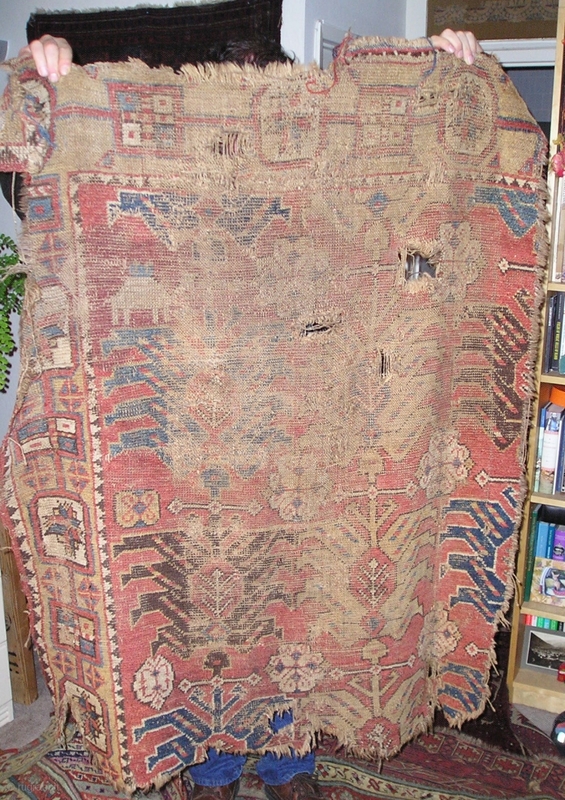 Mystery Rug Fragment, a sub-group from the so-called 'Golden Triangle' area group of rugs most frequently found in Tibet. Perhaps a 17th century Caucasian or Northwest Persian fragment. Dig the camels. 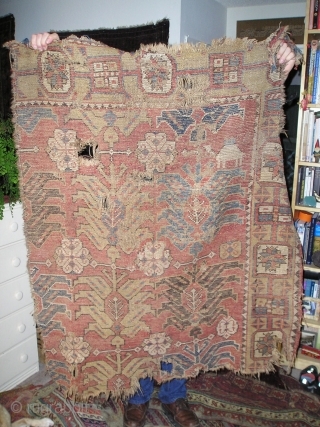 Less likely East Anatolian.